This is the short brochure version of Fr. Pavone's well-known longer booklet by the same name. It explains the Catholic citizen’s moral obligation to vote and take an active role in the nation's political process. It does not endorse any particular candidate or political party. It stresses the fundamental importance of the right to life, and guides us on how to properly assess candidates, issues, and parties, keeping our loyalty firmly rooted in Christ. Product #3469. Suggested Donation: $.20 each or 100 for $20.00. If you've ever written to a pro-abortion politician about the right to life, you've probably received a form letter that utilizes one of the several worn-out arguments. This brochure reviews how to answer them. Read the text of this brochure. 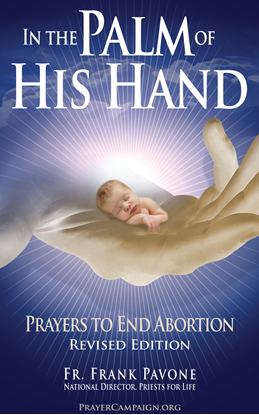 To be prayed daily for an end to abortion. Fr. 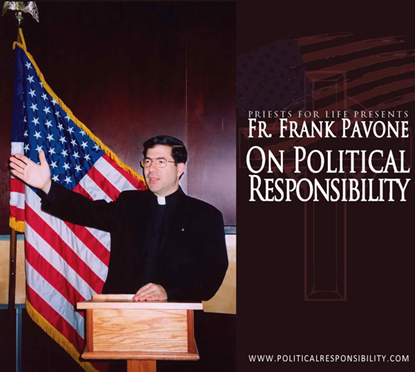 Frank Pavone's Book: Abolishing Abortion, Takes Church and State to Task! This is not a book for the faint of heart, or those who are looking for an easy way to fight abortion. This is not a book for those who will look to speak up for the unborn, but at the same time to cover themselves either politically or personally. Rather, Fr. Frank Pavone has published a book that is for those who are ready and willing to sacrifice everything to rise up to the most urgent, top priority moral challenge of our day: To end the holocaust of our unborn brothers and sisters being killed by abortion. The book challenges the state to stop pretending that it has any less duty than to protect all these children from being killed. The book challenges the church to stop making excuses for its inactivity, particularly the excuse that it cannot get involved in politics because it risks losing its tax exemption. The book shatters the mythology behind these excuses. Do not miss this book, which is really a manifesto for the pro-life movement and both asserts principle and advances practical strategies. Click here to read praise and endorsements for Abolishing Abortion. The book will be signed by Fr. Frank. It can also be personalized upon request. If you would like Fr. Frank to also personalize it to one or more individuals, please indicate the name(s) to whom he should make it out, and indicate if those names are for the same book or different copies. 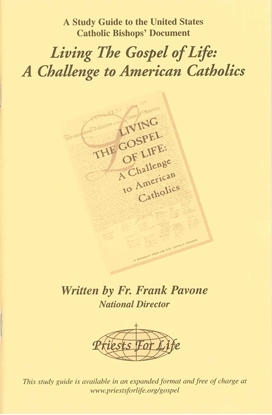 Study Guide to the US Bishops' Document "Living the Gospel of Life." This study guide was written to assist parishes and individuals to understand the Bishops' teaching. 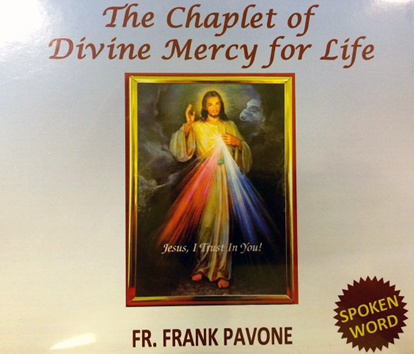 This CD has three talks from Fr. Frank about political responsibility. They are: For Whom Should I Vote? ; Political Responsibility and the Right to Life; and Political Loyalties.